Most people assume prostate cancer can only be treated by surgery or radiation. However, there are many proven alternative cancer treatments available. At the Cleveland Clinic Canada, our chosen alternative treatment method is High Intensity Focused Ultrasound - HIFU. Dr. Orovan, a top urologist and oncologist who is U.S. and Canadian Board certified, leads our highly trained staff. He believes that HIFU offers a safe and effective option for patients with localized prostate cancer. For over 2 decades, HIFU has been used to treat over 40,000 prostate cancer patients worldwide, with the number increasing daily. 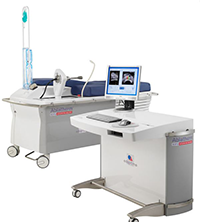 High Intensity Focused Ultrasound is a non-invasive prostate cancer treatment requiring no radiation or surgery. It is performed on an outpatient basis, with excellent cure outcomes and minimal side effects. Surgery and radiotherapy have a high level of morbidity - impotence and incontinence in particular. HIFU offers less downtime and fewer side effects. 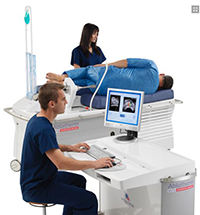 The Cleveland Clinic Canada uses the Ablatherm HIFU device to treat prostate cancer. The device, developed since 1993, is continually upgraded and evolving. This French technology targets prostate tissue with pinpoint accuracy, preserving the surrounding tissue. Ablatherm HIFU has received regulatory clearance in over 30 countries including Canada, the United States, Europe, Australia and elsewhere. The Cleveland Clinic Canada is the most experienced HIFU treatment center in North America. We have treated patients for over a decade under the approval of Health Canada. We believe that experience matters - which is why men travel to Toronto from all over North America for the procedure. At our HIFU clinic, you will receive personal care and assistance with travel plans. From your first contact with our Registered Nurses, to the urologist’s personal cell phone number, you will understand why we are the leading HIFU clinic in North America. Our goal is excellent outcomes with cure and minimal side effects due to our perfected treatment methods. Ablatherm HIFU offers great technological advancements to destroy localized cancer in the prostate. Find out if you qualify for HIFU to treat prostate cancer. Call our HIFU trained nurses at 1 877-370-4438 or fill out our Qualify for HIFU form: We will respond within 24 hours (weekdays). Prostate cancer is the second most common cancer in men. One in six men will be diagnosed with prostate cancer. According to the American Cancer Society, in 2016, an estimated 180,890 men in the USA will be diagnosed with prostate cancer and 16,120 men will die from the disease. Each year, over a million men worldwide are diagnosed with this disease. Prostate cancer is the 5th leading cause of death for men with cancer. The risk of getting prostate cancer increases with age. The growth rate of cancer in the prostate can vary. Some cancers can quickly develop and spread. Others may develop slowly with no obvious symptoms. Early detection is key to recovery. Prostate cancer can be detected during routine rectal exams or through blood tests to check for PSA levels (prostate specific antigens). Further cancer detection tests may include a prostate biopsy; MRI, CT or bone scans. Prostate cancer can only be confirmed by a biopsy. View the HIFU process step by step. Do I Qualify for HIFU?